In late 2007, Hillary Clinton visited the Concord Monitor for an interview with the paper’s editorial board. 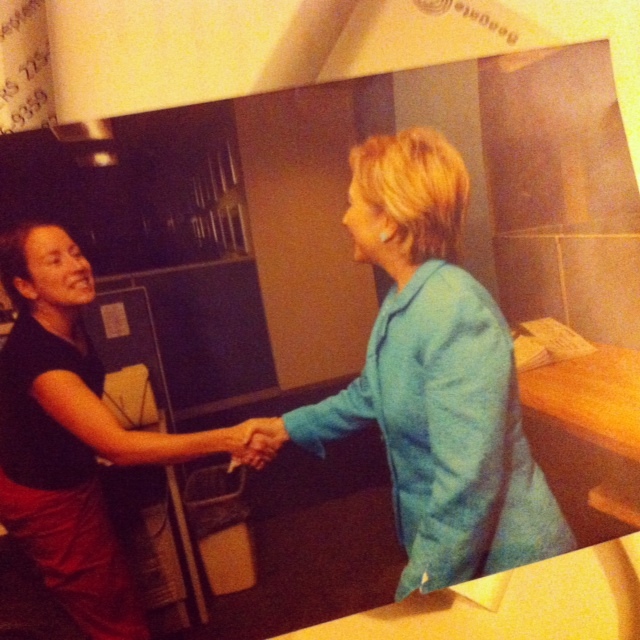 Someone – most likely photo editor Dan Habib – documented her tour of the newsroom. I’ve met plenty of people seeking the presidency, but this picture is special. It shows something unimaginable a generation ago: A handshake between a female journalist and a female presidential candidate poised to win New Hampshire’s first-in-the nation primary.